Talk about hydropower usually turns to megastructures such as dams, reservoirs and spillways. With help from Oregon State engineering researchers, an Oregon startup company is developing a system to generate carbon-free electricity from a previously untapped water source: the pipes under our streets. 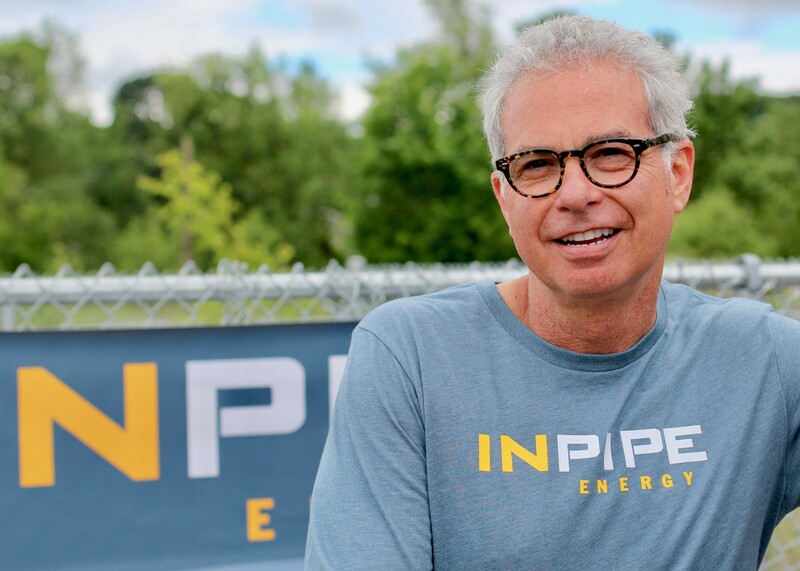 InPipe Energy is taking advantage of the difference in pressure between the major arteries of water distribution networks and the smaller branches that feed homes and businesses. Water suppliers routinely use valves to reduce pressure from high to low, but the energy produced in that step dissipates like heat from a campfire. In a community the size of Corvallis, enough energy might be available in the water system to power the equivalent of 200 homes, says Gregg Semler, company president and CEO. With financial support from Oregon BEST, which supports clean technology research, Parmigiani and Nick Aerne, engineering graduate student, worked with InPipe Energy to design and construct a prototype system at the O.H. Hinsdale Wave Laboratory on the OSU campus. They installed hydropower turbines in a loop parallel to a normal distribution line. At water pressures similar to those found in municipal water systems, they measured power output at startup, under continuous operation and at shutdown. The turbines achieved efficiencies between 60 and 80 percent. Operations in the nation’s water infrastructure, including pumping and purification, consume about 6 percent of the total energy used in the United States. In California, where big agriculture distributes vast amounts of water for irrigation and food processing, the energy used approaches 20 percent. Parmigiani and his students are continuing to look at improvements in the technology. Meanwhile, InPipe Energy is in discussions with water agencies and industrial companies on the next phase of commercialization. The energy originally came from the pumps from the water supplier. So it’s not really free energy, just reclaimed energy at 60-80%. What about using VFDs on the supply pumps? Where following affinity laws (power is the cubic of speed and flow) a lot of energy can be saved.